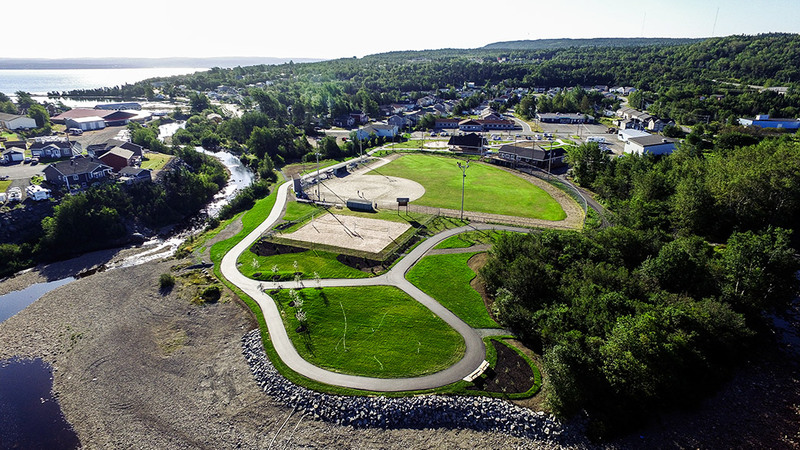 The newly renovated, Elizabeth Swan Park is the pride of the many parks and open spaces in Clarenville. 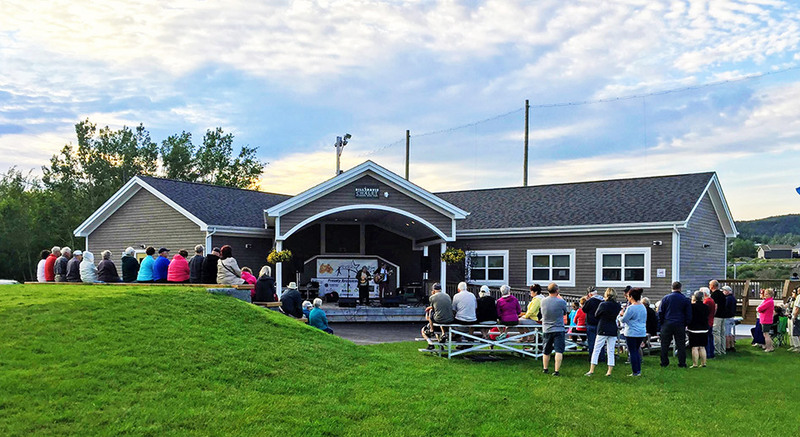 The park was established in the mid 1980’s and has become the main venue for many community and regional activities and events. It is also one of the main gateways to the Town’s extensive network of walking trails. It is an attraction for visitors, but perhaps more importantly, it is a core community facility to complement our active-living lifestyle. 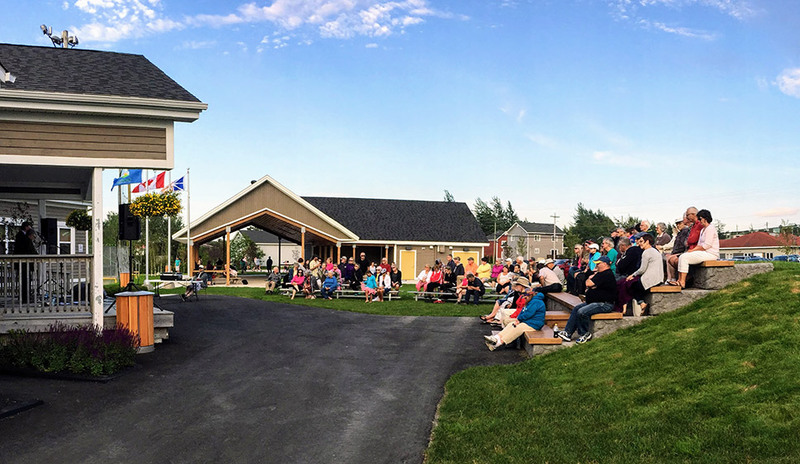 The Elizabeth Swan Park is named after one of the province’s foremost figure skating pioneers and a dedicated community volunteer Elizabeth Swan. 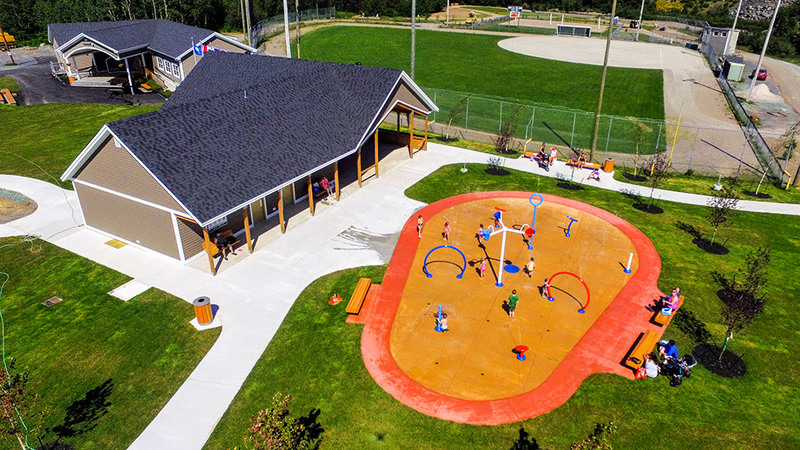 Cool off during the warm summer months at the newly installed Splash Pad at Elizabeth Swan Park. 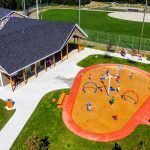 The splash pad consists of over 200 square meters of water-based fun featuring tumbling buckets of water and several ground jets for a variety of water play activities on a non-slip surface. 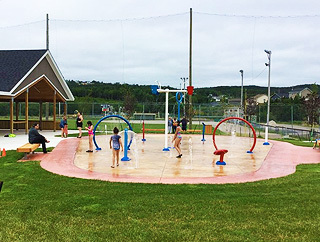 The Splash Pad will be open, weather-permitting from approximately early June through to early September. 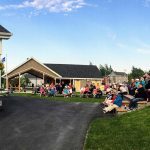 NOTE: The Splash Pad is not supervised by Town staff. 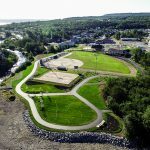 ​If you require further information please contact the Town of Clarenville at 709-466-7937. 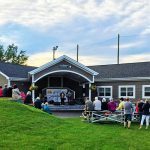 The Bill Davis Chalet has certainly played a vital role in many community activities over the years; the building has been recently replaced with a new, more functional building for our Town. 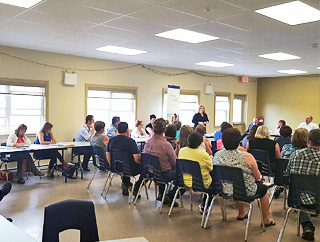 The creation of the project came as a result of the community support shown when working at and successfully winning one of the ten prizes of the 2012 Kraft Celebration Tour. 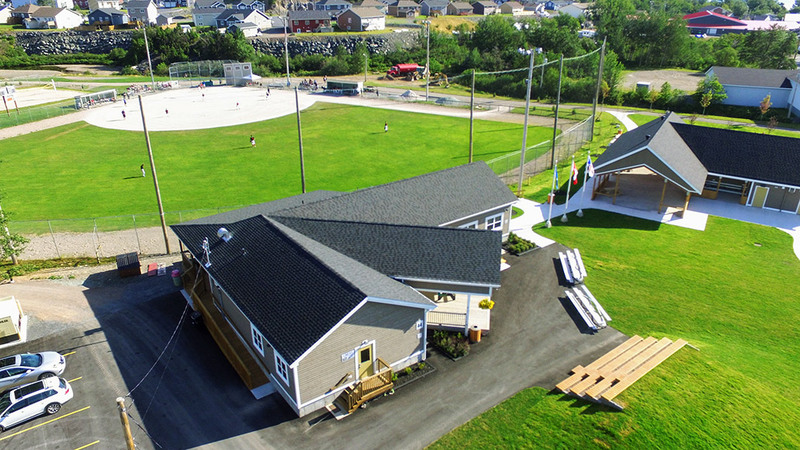 Recreation is an integral part of Clarenville life and the addition of the new Bill Davis Chalet in Elizabeth Swan Park will play a large role in bringing the town together and providing a great facility for residents. 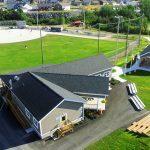 The new chalet is a multi-purpose facility that will be used by a variety of organizations in the community for local events and recreation programs.